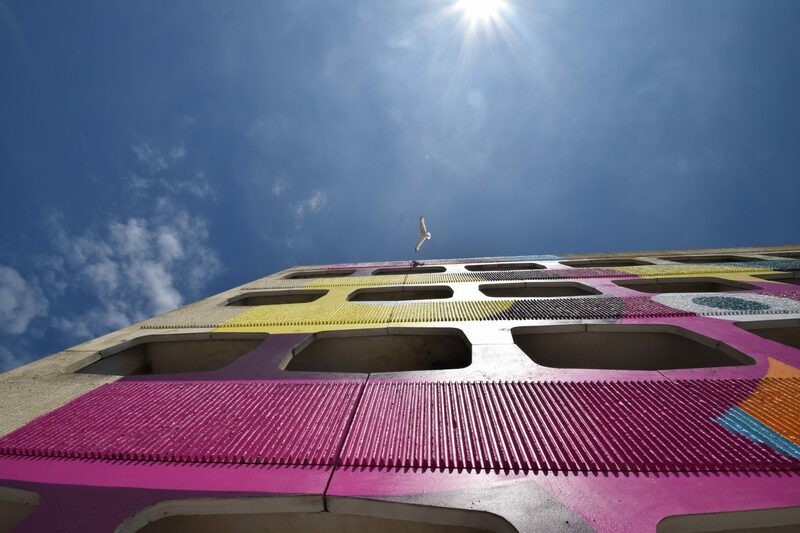 After the success of 2015’s “Mirrored Beach Hut” and 2016’s “Doorways”, ECE Architecture and Creative Forager joinged forces once again to create a new installation in Worthing, West Sussex. 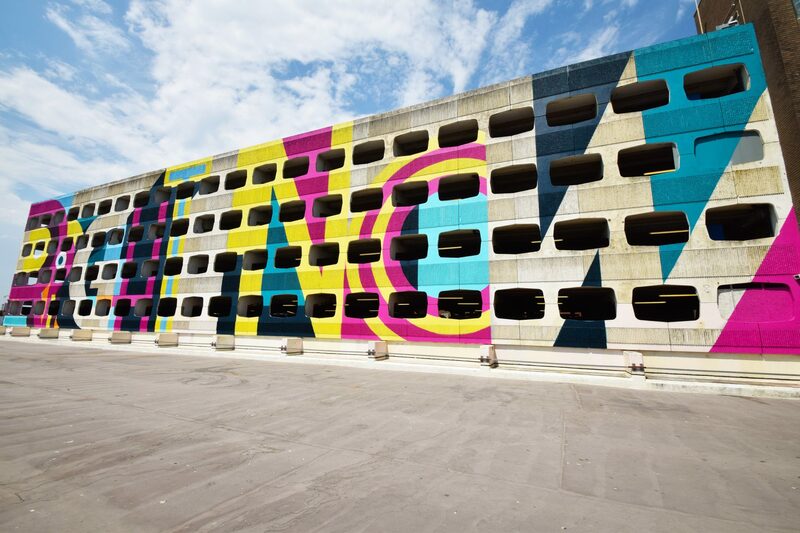 On July 6th 2017, in collaboration with Adur & Worthing Councils and acclaimed street artist Ricky Also, this team dramatically transformed the Grafton car park on Worthing seafront using bright, bold SUPERGRAPHICS. 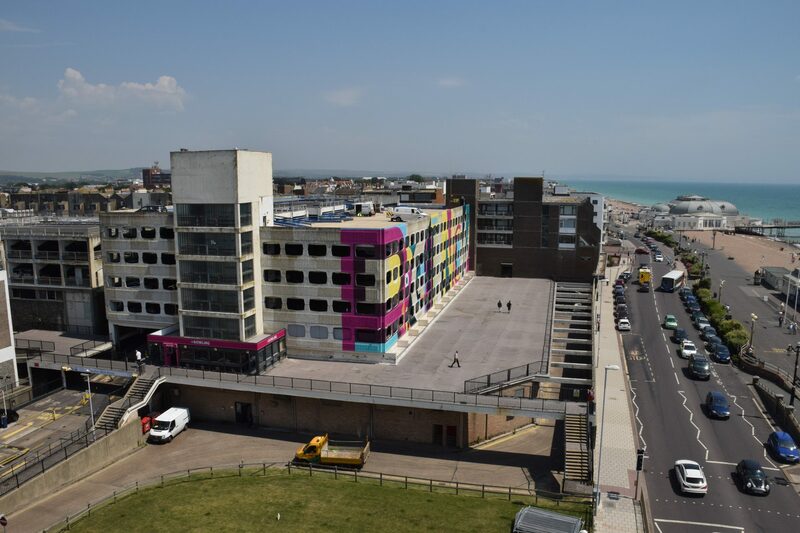 This new beach front installation took a grey car park in Worthing, a site that Worthing and Adur council wanted to promote for future regeneration, and painted it with an incredible large scale graphic with the words ‘RIGHT NOW’ to transform it and the public’s perception of it. The phrase ‘RIGHT NOW’ focuses on the current nature of the installation, but in a creative twist it is also an anagram of WORTHING.